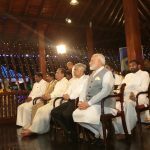 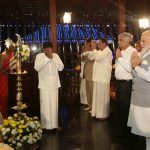 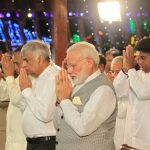 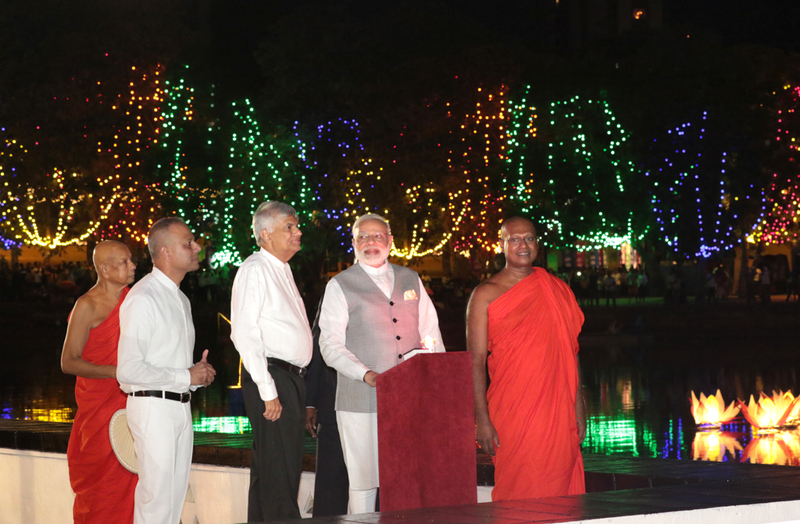 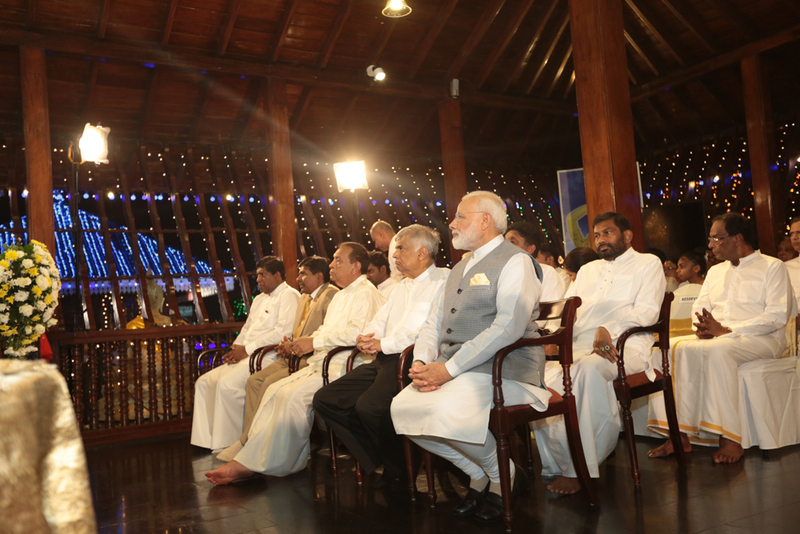 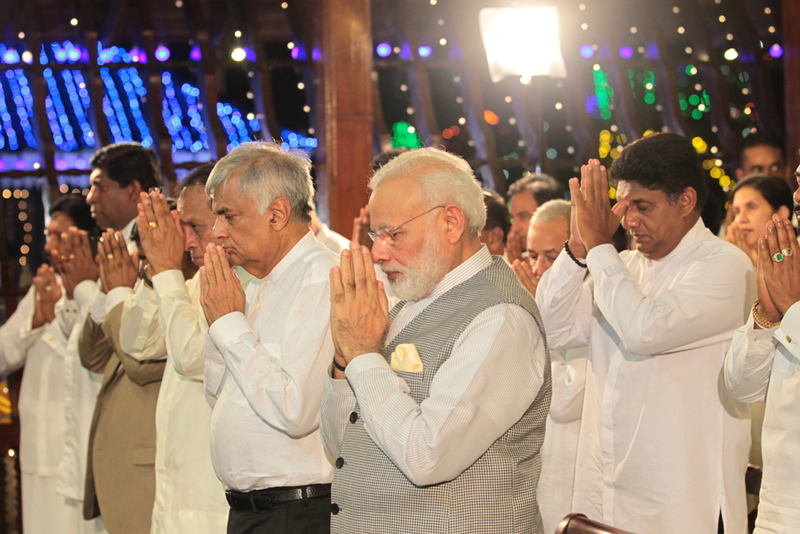 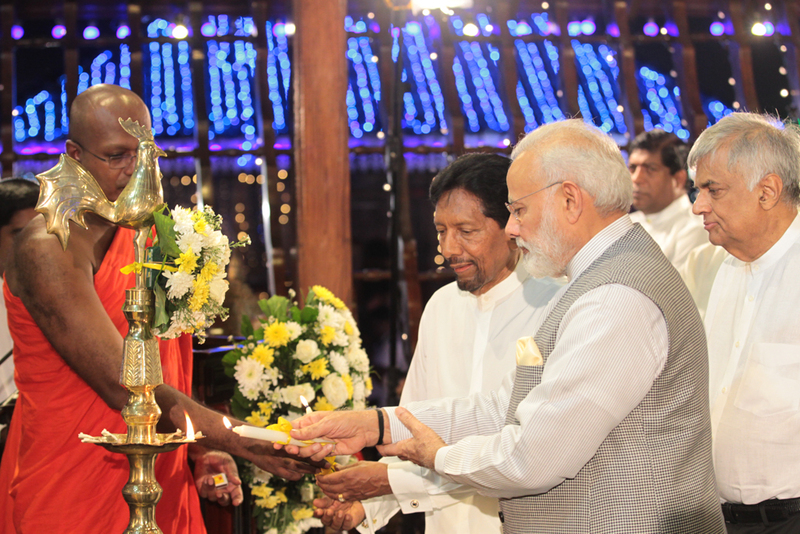 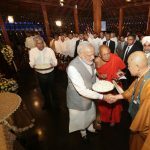 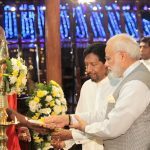 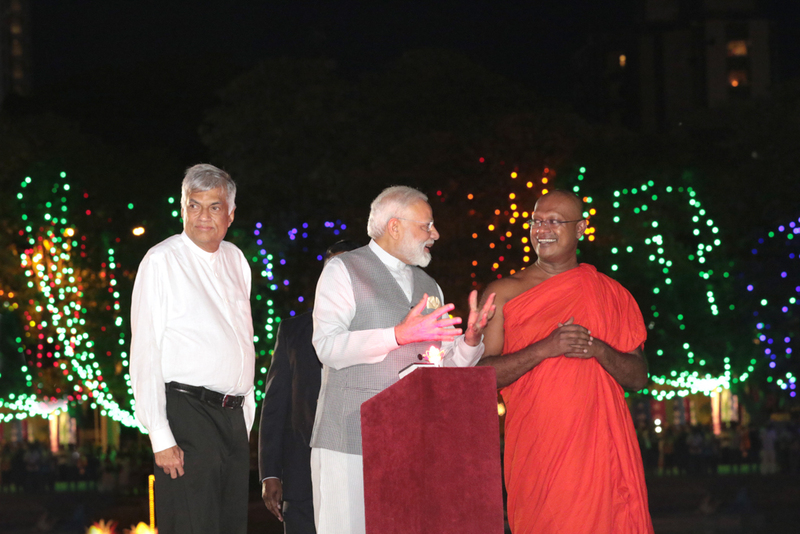 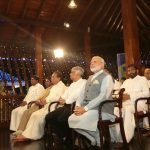 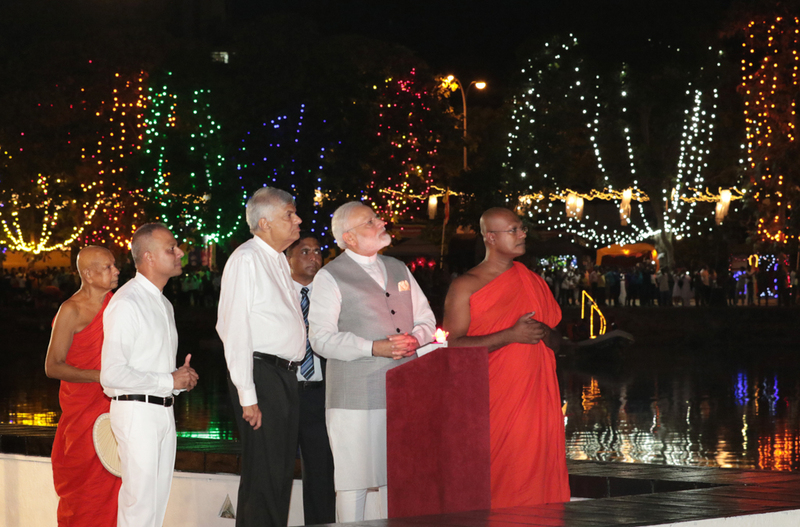 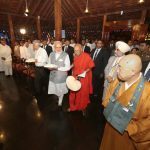 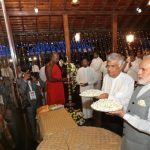 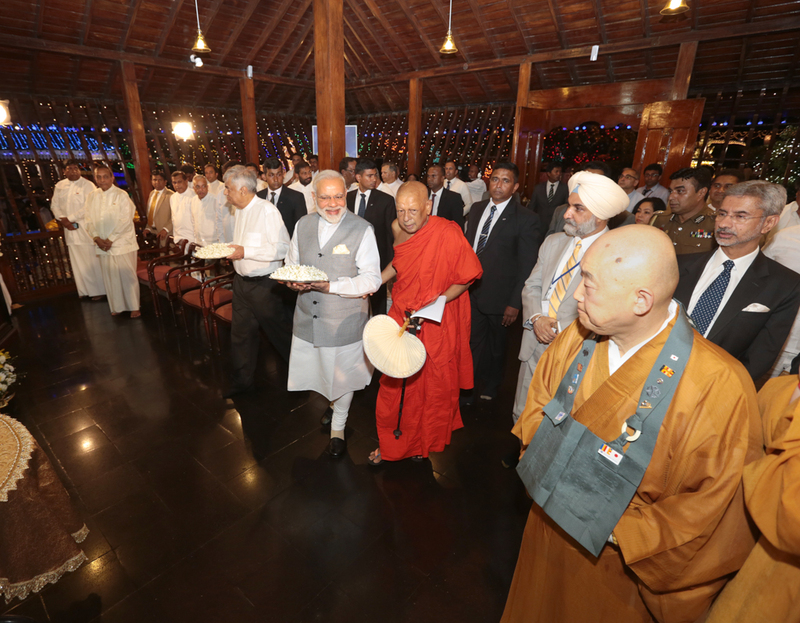 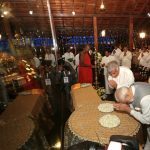 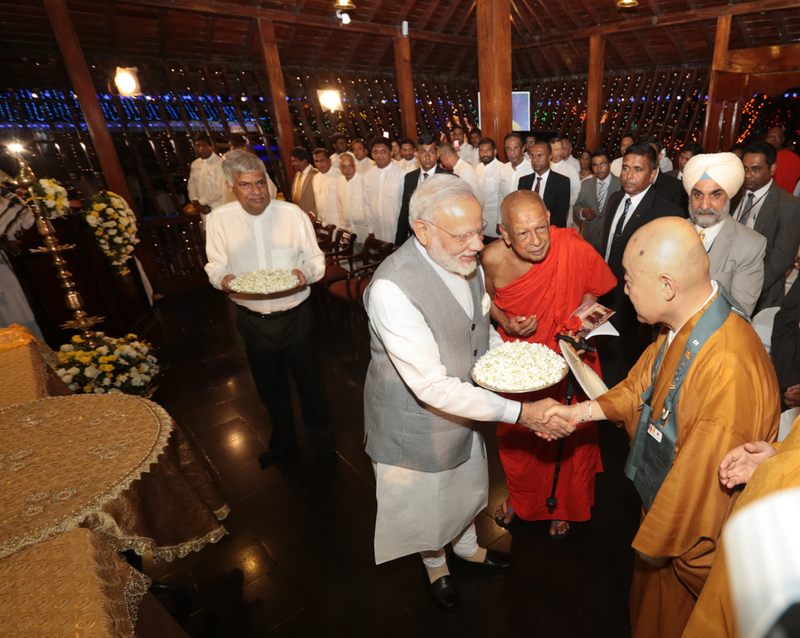 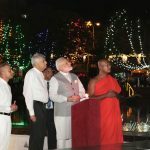 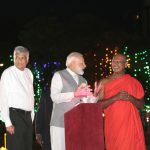 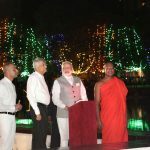 On the 11th May, the illuminated Buddha Rashmi Vesak zone of Gangaramaya was opened by the Indian Prime Minister Narendra Modi, here for the UN Vesak Day celebrations. 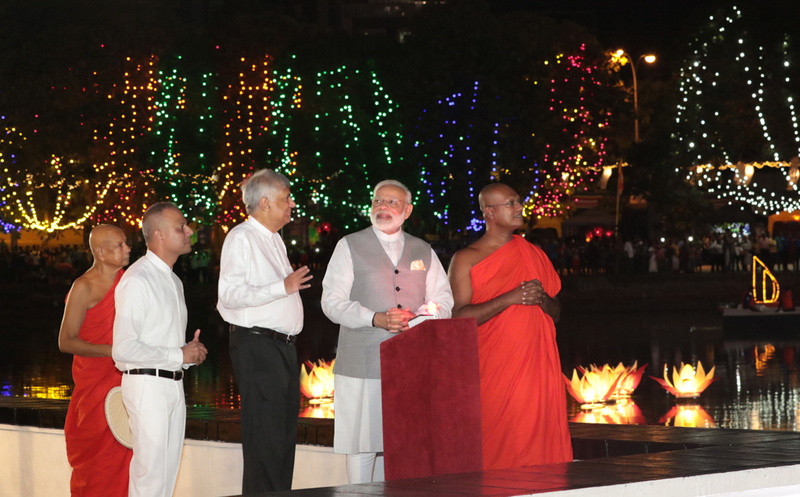 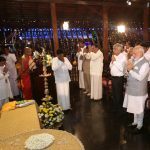 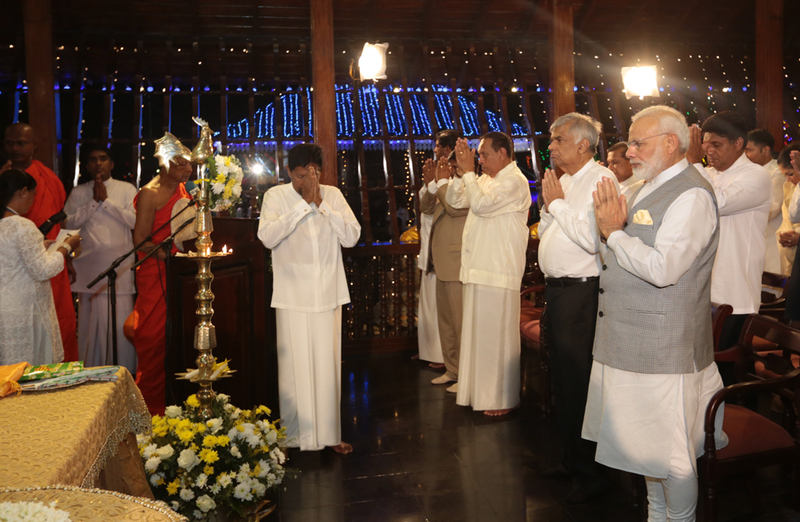 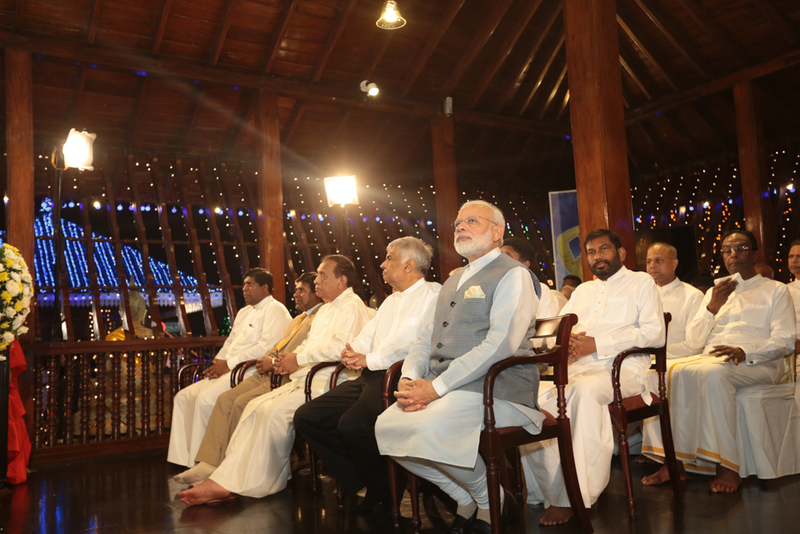 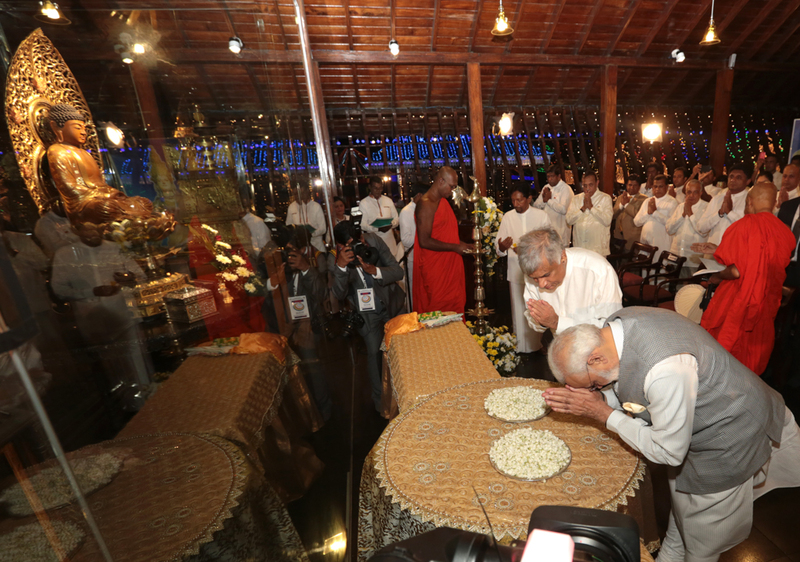 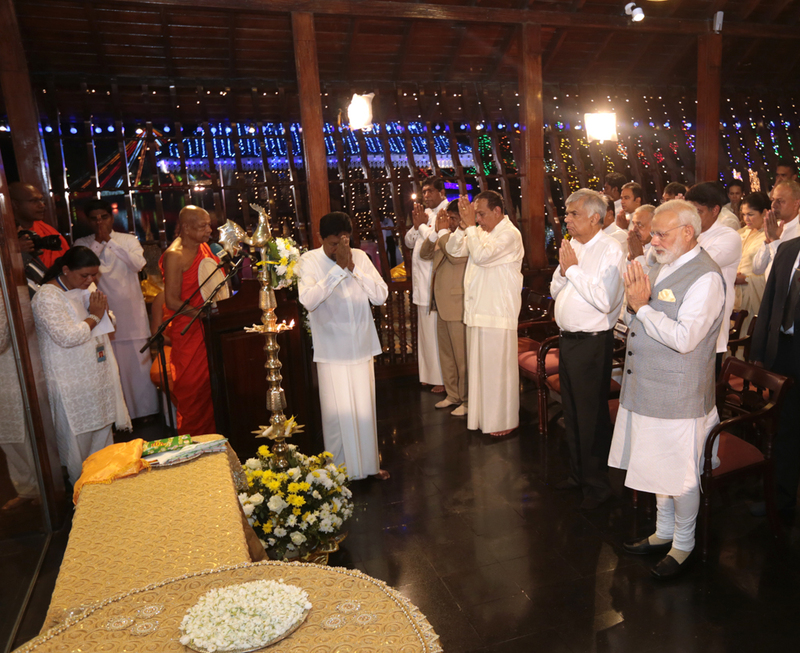 Also present was the Sri Lankan premier Ranil Wickremesinghe, and Podi Hamuduruwo and the Ven. 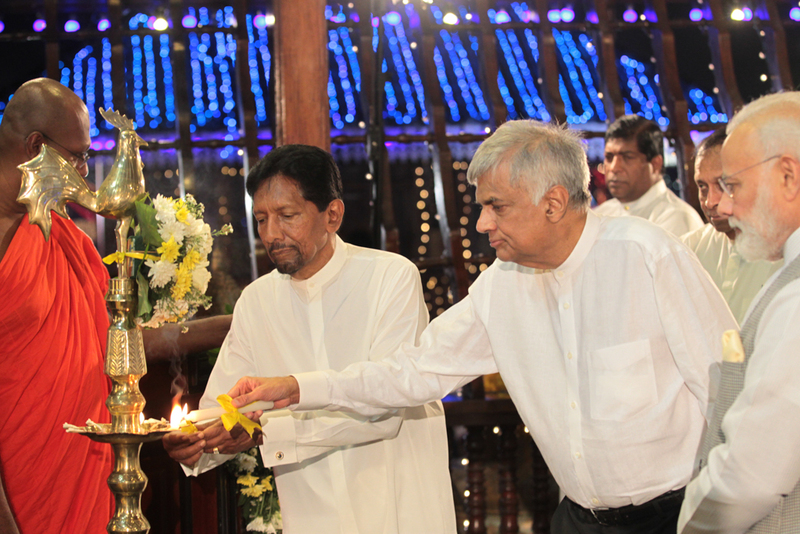 Kirinde Assaji thero of the Gangaramaya under whose guidance the vesak zone was organised. 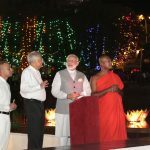 2017 එක්සත් ජාතින්ගේ ජාත්‍යන්තර වෙසක් උත්සවය නිමිත්තෙන් ශ්‍රී ලංකාවට පැමිණි ඉන්දීය අගමැති නරේන්ද්‍ර මෝඩි මහතා, ගංගාරාම විහාරාධිපති ගලබොඩ ඥානිස්සර හිමියන්ගේ සහ කිරින්දේ අස්සජි හිමියන්ගේ අනුශාසකත්වයෙන් යුතුව ගංගාරාම විහාරස්ථානය මගින් වාර්ෂිකව පවත්වනු ලබන බුද්ධ රශ්මි වෙසක් කලාපයේ සමාරම්භම්ක උත්සවයට සහභාගී වූ අවස්ථාව. 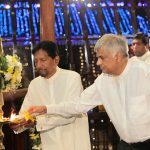 2017 මැයි මස 11 වන දින පැවති එම උත්සවය ශ්‍රී ලංකාවේ අගමැති රනිල් වික්‍රමසිංහ මහතා ඇතුළු මැති ඇමතිවරැන් විශාල පිරිසකගේ සහ දේශීය මෙන්ම විදේශීය සම්භාවනීය අමුත්තන් විශාල පිරිසකගේ සහභාත්වයෙන් පැවැත්විණි.